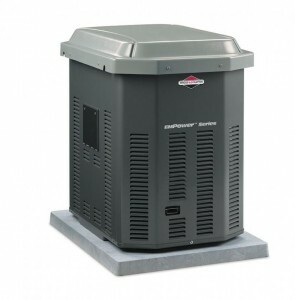 Whether you’re home or away, premium standby power generators will keep you up and running smoothly during power outages caused by hurricanes, tornadoes and blackouts. A continuous fuel supply to either propane or natural gas means fully-automatic, hassle-free backup power for years to come. Decide what appliances in your home you want to use during a power outage. If you only want the essentials, then the EMPower series is right for you. However, if you want to use high-wattage comforts, then the IntelliGEN series is your choice.